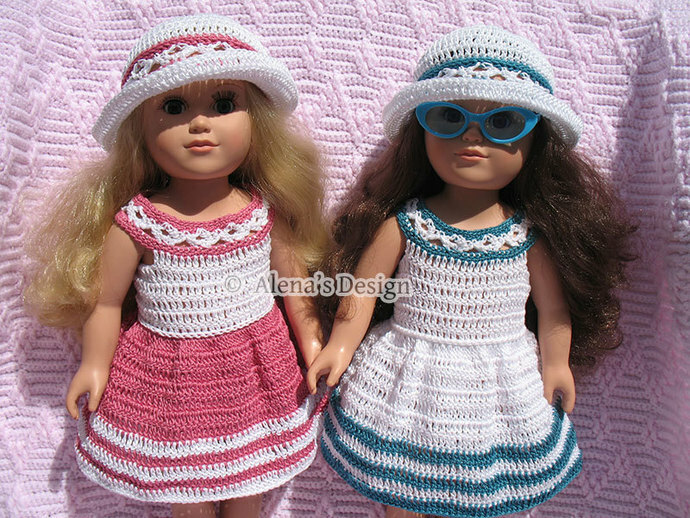 * This pattern set is to make a Summer Dress and Lace Sun Hat for American Girl or similar 18 inch doll. Dress - Finished Chest: 12.0''. 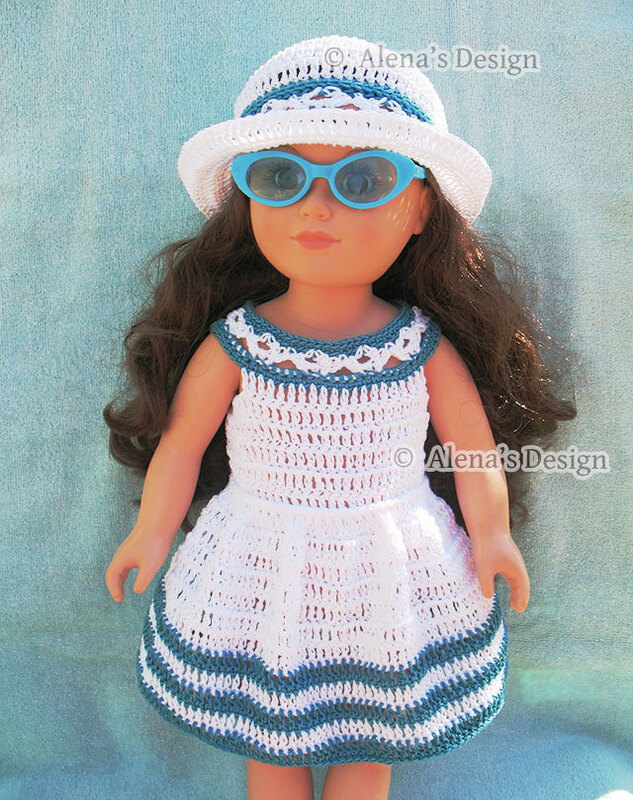 Finished Length: 9.0''.